Following an in depth Training and Learning Needs analysis, LEO Pharma identified the need for a training programme to expand and raise the skills and capability expertise of marketing professionals, ranging from product managers to senior marketing personnel, who had a diverse range of marketing experience and strengths. 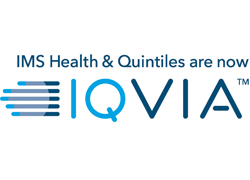 Crucial to the programme was the need to address key skills gaps, align learning with new cross-functional working approaches and address the challenges of a rapidly changing healthcare environment, focusing on a customer-centric, insight-driven approach. To develop marketing excellence skills and capabilities in this context, face-to-face training was prerequisite for both individual development and collaborative team working. Two workshops delivered strategy excellence and implementation excellence training respectively. This ensured a logical learning process and opportunity for workplace reflection and application. Relevant and meaningful content developed around a framework of real-life ‘case study’ and ‘own brand’ scenarios, engaged and motivated learners using a ‘learn and do’ transference approach. Additionally, cross-functional team attendance ensured all roles shared understanding and agreed learning implementation. Stakeholder feedback indicated that the workshops achieved an extremely high success rate in achieving behaviour change in the workplace, with around 75% of participants feeling inspired to change their working approach and embrace cross-functional working. 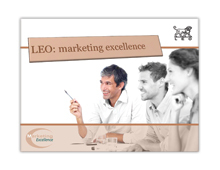 LEO built a comprehensive marketing excellence programme based on sound educational principles, engaging different cross-functional members at different stages. This was an innovative programme which worked really well for attendees.